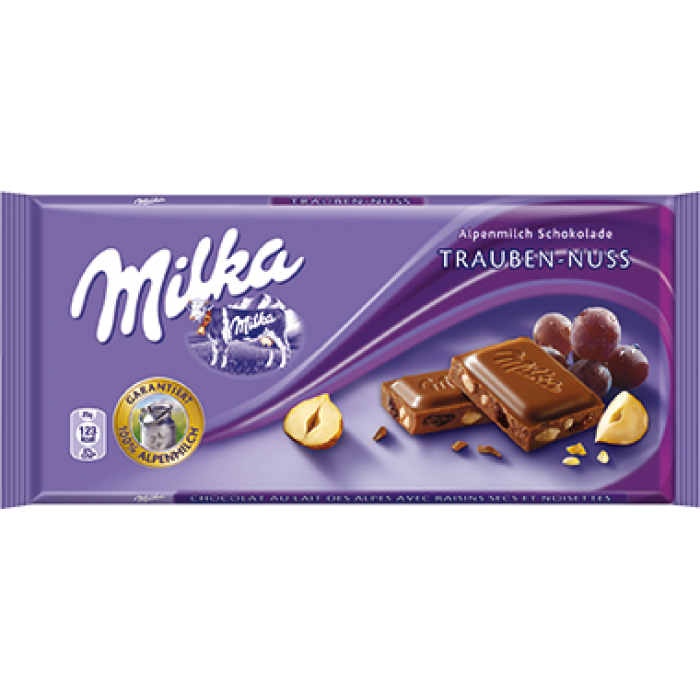 The wonderful taste of Milk Chocolate with the best quality of Alpine Milk added to give it that rich, creamy flavor. Alpine milk chocolate with raisins and hazelnuts. Sugar, raisins (19%), cocoa butter, skimmed milk powder, cocoa mass, sweet whey powder, hazelnuts (5%), butter oil, hazelnut mass, emulsifier (soy lecithin), flavor (vanillin). Cocoa: 30% minimum in the Alpine milk chocolate. CONTAINS MILK, HAZELNUT, SOY. MAY CONTAIN TRACES OF NUTS AND OTHER CONTAIN WHEAT.